My writing is about life for I believe the subject is best served by those who have endured it. 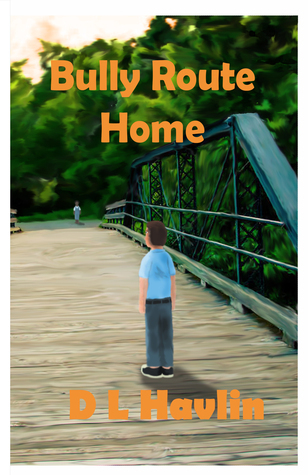 Bully Route Home is a coming of age story that follows Pooch as he learns some of the hard lessons of life. What was your inspiration for the character of Pooch and the journey that he takes? Pooch is a result of my having lived during the same era and experienced what this fictional character does. I’d be less than honest if I didn’t admit that a portion of the young boy portrayed in Bully Route Home is me in that period of my life. However, both Pooch and his experiences are conglomerates of several different boys and their lives. Bully Route Home is not autobiographical. Several events that I’ve written are ones I’ve either been personally involved in or have been a closely associated witness. Others are based on events retold by others or are pure fiction. All have been modified to story mode… the book is truly a work of fiction. My inspiration for Pooch was to use his character as a vehicle for something else I wished to achieve. I wanted to underline the importance of parenting within our society. Pooch is the product of his parents. We are made by those who spend the most time with us. Pooch’s character reflects that, as does Buddy Mix reflect his father. The message is that fulfilling the parenting role is one of the most important ones we enact in our lives. The book is beautifully written and addresses a subject that we are too often afraid to address. Why did you want to write about subjects such as racism? If there is one thing that we of advanced age can contribute to those who must shape today’s society it is to illuminate error’s our civilization has made, to present the story in a manner that is understood, try to see those mistakes aren’t repeated, or at least, minimized as much as possible. I write my books with this foremost in my mind. I see us embarking on policies that will destroy what we were becoming and separate us into enemy camps. Bully Route Home asks, is it more important that we know if a black youth or a white youth caught fish… or simply that the fish were caught… is it more important that the community’s economy is saved or that it is done by someone with the proper color. I would hope that the reader grasps the under lying message. We make progress when we stress those things we have in common and deemphasize those things that make us different. Unfortunately the opposite is happening today. Thank you for your kind words regarding the prose. I try to be sure that I don’t disappoint a reader when they pick up one of my novels. I enjoyed Rebecca’s character as well. While we see the negativity of human character through many characters, we also see innocence and purity in Rebecca? What was your inspiration for her character and her struggles? Rebecca is an embodiment of an ideal, not of an individual person. The ideal is that we must all have the courage and the willingness to sacrifice for those people and principles in which we believe. She is Pooch’s strongest defender! The weight of numbers, the viciousness, the personal grief she experiences doesn’t sway her. The purity and innocence you see in Rebecca is her commitment to her beliefs and the willingness to defend them. She understands that she is an individual, responsible for her thoughts, and that each individual must take a stand to protect them. Rebecca does not look for support from the school authorities, her parents, she takes responsibility for herself. It’s difficult to see Rebecca being bullied, isn’t it? What is your background and experience in writing and how did it help you write Bully Route Home? I’ve been writing for twenty plus years and have been blessed with numerous opportunities to travel the world and be involved in extremely diverse professions and activities. The latter provides me with a great inventory of experiences and human profiles to write about and the former provides me with the tools that allow me to express it understandably. I try to observe the rule, “write about what you know,” and I’ll add, “understand.” I purposely avoid writing fantasy, sci-fi, etc. I believe those areas are best served by young, unfettered minds that aren’t constricted by perceived realities. My writing is about life for I believe the subject is best served by those who have endured it. The Past’s Portrayal of Today’s Problems. The continuing problem of bullying and the festering divide in race relations tear at our country. Their roots are in out past. Bully Route Home provides a picture of where we’ve been and of a time and place which we strive not to return. “Pooch” Robertson is a 12 year old growing up in the 1940’s rural South. He learns about the realities and the shortcomings of the world he lives in when a bully terrorizes him. Pooch chooses to walk home from school by making a detour through the black quarters to avoid daily beatings. The friendship he forms with a black youth forms a chain of events that threatens to spiral out of control and plunge the community through full-fledged race war.